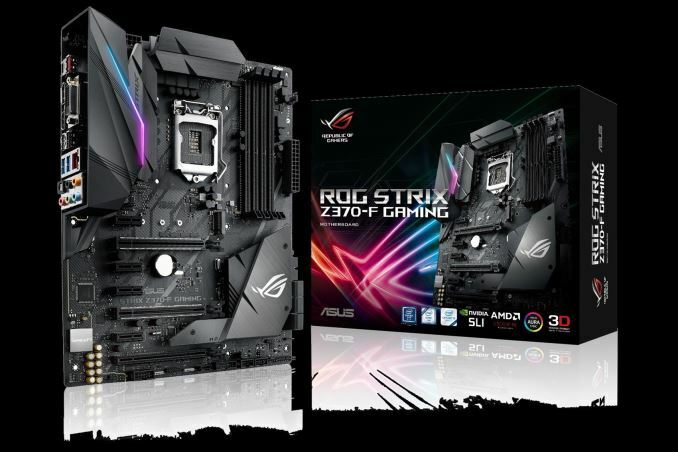 The ASUS ROG Strix Z370-F Gaming sits in the middle of its Z370 product stack, intending to deliver users a full assortment of features. The all black board supports both Crossfire and SLI, has USB 3.1 (10 Gbps) ports, two M.2 slots, SupremeFX S1220A audio, and a large heatsink on the power delivery area to help keep it cool. Performance isn't half bad either. 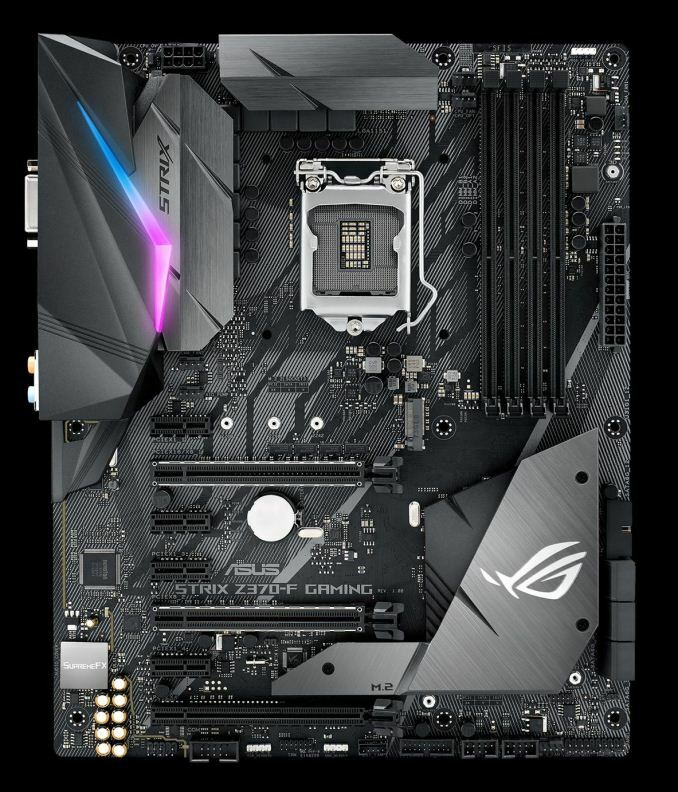 The ROG Strix Gaming set of motherboards has several members varying from the inexpensive Z370-H at ~$150 to the Z370-F at ~$200. All the boards are jet black in color and use brushed aluminum heatsinks to cover the power delivery bits. RGB LEDs make an appearance on all the ROG Strix boards, and the Z370-F has the rear IO cover light up as well. Other features include a heatsink for the primary M.2 slot, PCIe reinforcement on two full-length slots, Intel-based networking, as well as the latest in connectivity with USB 3.1 (10 Gbps) ports on the back. Overall the ROG Strix Z370-F Gaming looks to have what it takes to be a good foundation for a Z370 based build. Performance on the ASUS ROG Strix Z370-F Gaming was right where we expected it to be with results mixing right in the with the rest of the boards tested. The board excelled in boot times with the second fastest POST time we have tested to date. Power use was average among all boards as were the majority of tests which showed the board boosts the CPU similar to the other Z370 boards. Overclocking on this ASUS board was a breeze. Between its easy to use BIOS and AI Suite 3, it was as simple as raising power limits, Vcore, and CPU Ratio and away we went. The board managed to reach 5.1 GHz before our cooler ran out gas and the CPU became too hot for our liking. This result was right in line with all overclocking motherboards tested. On the storage side of things, the board offers users two different storage options, SATA and M.2. There are six SATA ports capable of using RAID 0, 1, 5, and 10 which should be plenty for most users. On the M.2 side, the Z370-F Gaming includes two M.2 slots, both capable of PCIe 3.0 x4 with the primary (bottom) slot also supporting SATA based M.2 modules (please see manual for shared port information). In a departure from the most recent Intel reviews, the ATX size board gives users several PCIe options. There are three full-length slots with two reinforced while a third is powered by the chipset and can be used for 3-way Crossfire setups. The two primary slots support 2-Way SLI as well. In addition to the full-length slots, the board also has four x1 size slots for additional PCIe based expansion. Rear IO connectivity doesn't provide users with a bounty of options but has the modern fixings one comes to expect with a Z370 based motherboard. THere are two USB 3.1 (10 Gbps) ports (Type-A and Type-C) for fast USB, two USB 2.0 ports, and two USB 3.0 (5 Gbps) ports as well. The Z370-F gives users three options for video output when using the iGPU, a DVI-D, HDMI, and DisplayPort ports. Outside of that, we see a 5-plug plus S/PDIF audio stack as well as the Intel I219-V RJ45 port for networking. 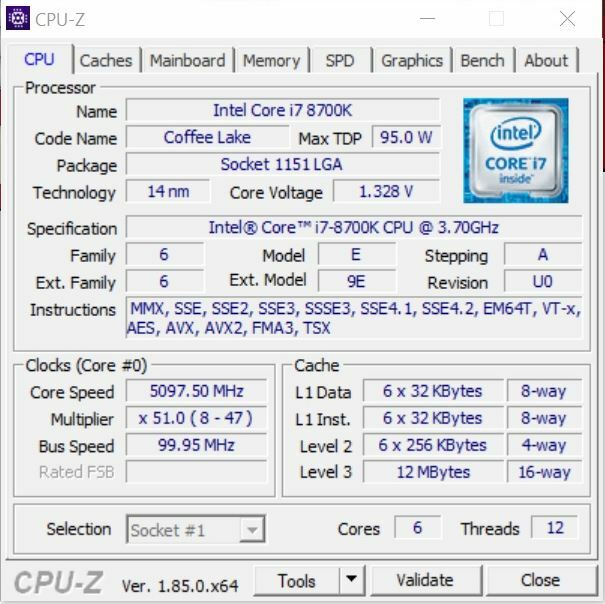 *It should be noted that from this point on in our Z370 motherboard reviews, we are using Windows 10 RS3 with the Spectre/Meltdown patches as well as other script adjustments. ASUS brings a number of Z370 motherboards to the table ranging from the Mini-ITX Z370-I Gaming to the flagship Maximus X Formula. The Republic of Gamers boards consisting of the Maximus and Strix series are most of the lineup, with the TUF and Prime lineups each having two boards. Prices range from $130 (Newegg) TUF-Plus for entry-level up to the flagship ROG Maximus X Formula at $441 (Amazon). It's a pretty wide price range with boards of all shapes, sizes, sizes and included features. In the state of Illinois there are a great deal of personal injury attorneys that's why you want a lawyer that will represent you. At our law firm, our Personal Injury Lawyers are focused on serving our customers and helping them receive the maximum compensation for their injuries.